Freshly squeezed lemonade is a great way to beat the heat! We’ve been experiencing a bit of a heat wave in Southern Ontario and it’s the type of weather that calls for an ice cold glass of lemonade. 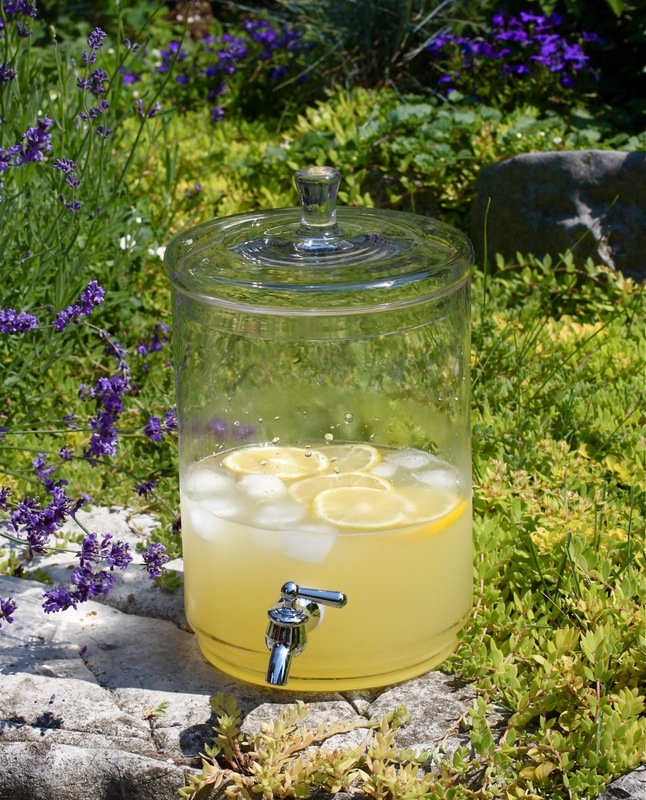 A couple of years ago I featured a recipe for Tuscan Lemonade that has been quite popular. However, because it has liquor in it, obviously it’s not suitable for children. This family-friendly recipe will appeal to everyone (and you can always add a splash of your favourite bourbon, rum or vodka if you’re entertaining!). I prefer a lemonade that is quite tart and bold – you can always adjust the amount of sugar and water slightly to taste. I used quite large lemons – if you can only find smaller ones, use a few more. Small inexpensive juicers can be found at most kitchen stores or you can squeeze them by hand but it may take a while! Juice eleven of the lemons – they should yield about 3 cups of lemon juice. Pour the juice into a large pitcher through a strainer to get rid of any seeds and pulp. Slice the remaining lemon into slices and remove any seeds. Set aside. Stir 1-1/2 cups of sugar into the lemon juice until it fully dissolves. Add the water and stir to combine. Adjust the sugar and water to taste if necessary. Empty a tray of ice cubes into the pitcher and add the lemon slices. Pomegranates are in season right now and they are ideal for making festive holiday cocktails (bonus: pomegranate juice is good for you!). Whole pomegranates can be juiced but it’s a bit of a hassle and bottled pomegranate juice is readily available almost everywhere these days. However, if you can’t find pomegranate juice, you can substitute unsweetened cranberry juice. This drink was inspired by a recent trip I took. It’s a great way to use up that bottle of coconut rum you bought one summer that has been languishing at the back of your liquor cabinet. The coconut is subtle and the pomegranate balances the flavours nicely. In a cocktail shaker, combine the rums, juice and some ice. Shake well and strain into two martini or low-ball glasses. Garnish with a slice of pomegranate or some seeds. This unusual cocktail captures the flavours of the holiday season: warming spices, pomegranate and mandarin orange. Vodka can be substituted for the tequila if you’d prefer. In a cocktail shaker, combine all ingredients (except garnish) and shake well. 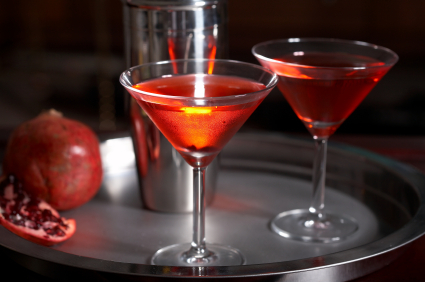 Strain into martini glasses and garnish with an orange slice or twist if desired. Mimosas (orange juice with sparkling wine) make Christmas brunch festive. Adding a splash of pomegranate gives it a new twist. I sometimes juice some of the mandarin oranges or clementines that come in boxes around the holidays. Fill a champagne flute halfway with orange juice. Add a splash of pomegranate juice and top with sparkling wine. Garnish with an orange slice. La Poire: A pear based cocktail with subtle notes of rosemary and pepper. I love to incorporate seasonal fruit into cocktails. 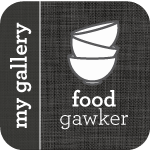 It’s a fun and easy way to enjoy the flavours of the season (check out the Drink Archives for other ideas including Peach Sangria and Strawberry Mojitos). With a little creativity, autumn drinks can involve more than just apple cider (although I do love a good cider as well!). For those who don’t speak much French, ‘la poire’ means ‘pear’. This recipe calls for pear-flavoured vodka. Both Grey Goose and Absolut make pear vodkas, however, if you’d rather make your own version, you can try this recipe from eHow.com: How to Make Pear Infused Vodka. The rosemary-black pepper syrup sounds a bit odd but it’s subtle and adds an interesting note to the drink. In a small saucepan, combine sugar, water, rosemary and black pepper. Heat the mixture on medium-high and stir to dissolve the sugar. Let simmer for 5 minutes. Remove from the heat and let cool completely. Remove the rosemary sprig once cool and use the syrup as desired. Extra syrup will keep in the fridge for a few days. In a martini shaker, add a few ice cubes, vodka, simple syrup, pear juice and lemon juice. Shake well and strain the drinks into martini or low-ball glasses. 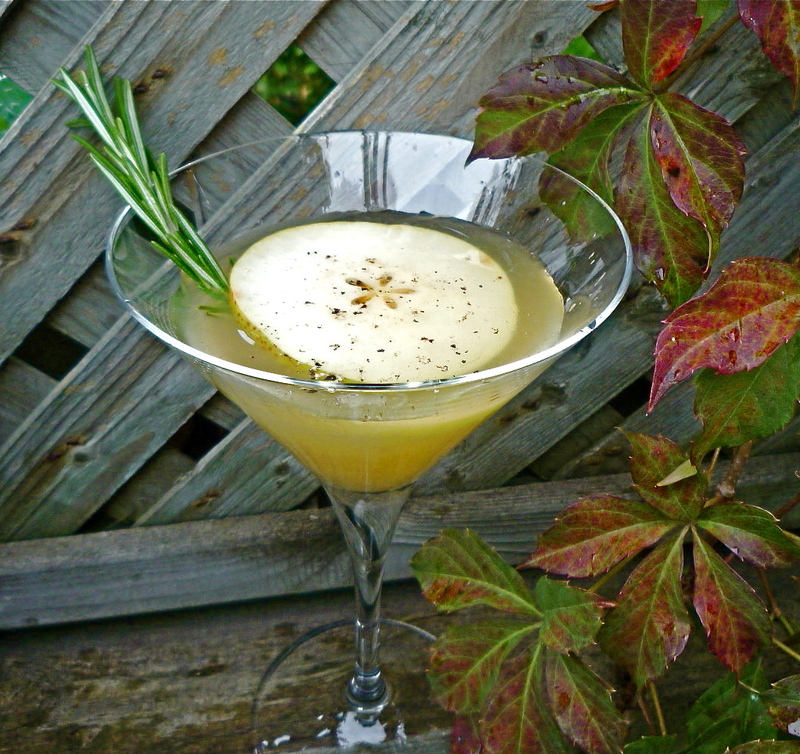 Garnish drinks with a pear slice, a rosemary sprig and a light sprinkling of fresh pepper if desired. Local rhubarb has just started appearing at markets in Southern Ontario and other areas won’t be far behind. The bracingly tart stalks are delicious in pies, tarts, drinks or even savoury dishes, provided you sweeten the fruit a bit. This drink is a little sweet, a bit tart and has some heat from the ginger. 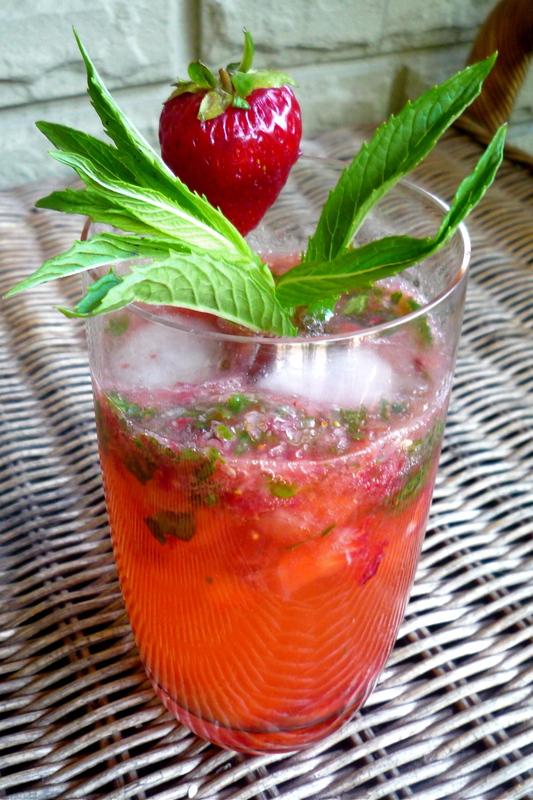 It pairs well with rum to make a refreshing springtime cocktail that is perfect for entertaining. 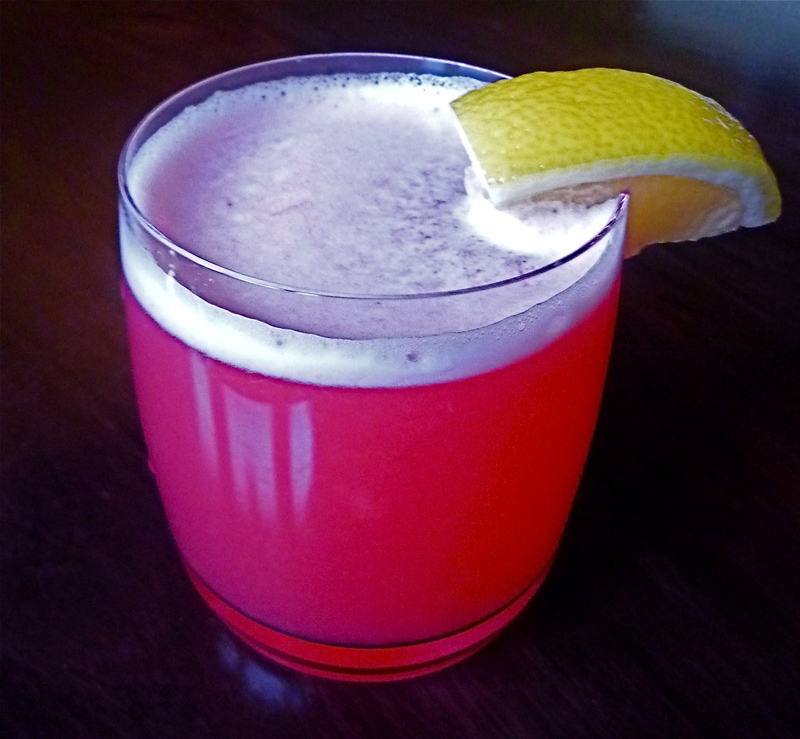 For a non-alcoholic version, skip the rum and top the rhubarb-ginger syrup with club soda and a squeeze of lemon. In a cocktail shaker, add ice, rhubarb-ginger syrup, rum and a squeeze of lemon. Shake well and strain into two low-ball glasses or martini glasses. Top with club soda and garnish with lemon wedges. In a saucepan, add all ingredients and bring to a simmer on medium-high heat. Let simmer for 15 minutes. Mash fruit well with a spoon. Strain into a bowl through a fine mesh strainer, using a spoon to extract as much juice as possible (the leftover fruit solids are delicious to eat). Let syrup cool and use as desired. It will keep covered in the fridge for a few days. Even though it’s still officially fall for another ten days, winter has arrived in most parts of Canada. We finally got our first snowfall and the temperature has plunged. As soon as the weather turns cold, I start to crave hot chocolate. I’ve tried all of the big coffee chains and a few independent places but nothing quite suits my tastes. I prefer a cocoa that is dark and chocolaty but not too thick. I find most coffee shop hot chocolates tend to be too sweet, too milky or too artificial tasting. The logical solution to this quandry? Make my own! It’s very easy to whip up some homemade hot chocolate and you can adjust it to suit your taste. If you prefer it thicker, use some cream or evaporated milk. Prefer it sweet? Add more sugar. You can also add flavourings or liqueur to your cocoa to dress it up (see below). The key to good hot chocolate is to use a good quality cocoa powder. I use a mix of Valrhona 100% Cacao Gastronomie and plain old Fry’s Premium Cocoa which can be purchased at any grocery store (the Valrhona is a little intense by itself). Scharffen Bergen, Green & Black’s, Droste and Callebaut are other popular brands. Top your cocoa off with a marshmallow or dollop or whipped cream or try one of the variations below. If you’re interested in a bit of history, you can read about France’s King Louis XV’s love of hot chocolate, which he would sometimes prepare for himself: Chocolate at Versailles – Louis XV’s Favourite Drink. In a mug or glass measuring cup, add cocoa powder and sugar. Pour in ½ cup of the milk and use a fork to whisk the ingredients together until smooth. In a medium saucepan, heat the remaining 2-1/2 cups of milk on medium-high heat. Add vanilla and a pinch of salt. Heat milk until barely simmering – do not bring to a hard boil. 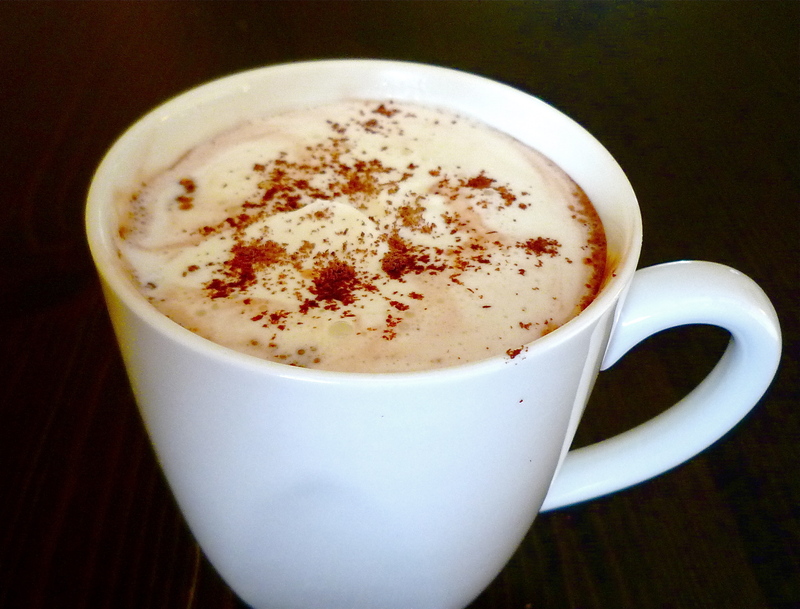 Mexican Hot Chocolate – Add ¼ teaspoon ground cinnamon and 2 Tablespoons Kahlua to the hot chocolate. Add a dash of cayenne pepper if you really want to spice it up! Mint Hot Chocolate – Add ½ teaspoon mint extract or 2 Tablespoons of crème de menthe. Garnish with a candy cane. Chocolate-Orange – Add a shot of Grand Marnier to each hot chocolate. Garnish with a candied orange peel. Peaches are at their peak right now and I’m fortunate to live about an hour from the Niagara region, a major peach growing area. The peaches I picked up early last week were a bit firm but flavourful and their taste and texture improved after leaving them on the counter for a day or two. This sparkling sangria is a fun and refreshing way to enjoy fresh peaches and their juice. I call for peach schnapps, which I enjoyed in my early twenties but hadn’t given much thought to in recent years, thinking it was too sweet and juvenile. However, I find a little bit adds a nice peachy flavour without being overly cloying. For peach juice, you can either puree and strain some fresh peaches or use a good quality bottled juice. In a large pitcher, pour in the sparkling wine. Mix in the peach schnapps and peach juice and stir together. Add ice cubes and the diced peach. Use a spoon when pouring to control the peach pieces in each drink.